Little Thomas & Friends fans will love the Good Night Thomas Plush ($20). 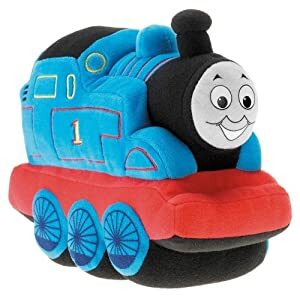 This cuddly Thomas Plush Toy plays a soothing lullaby version of the Thomas & Friends Theme Song when you press on his roof. Click here to buy on Amazon for $19.11 – eligible for free shipping with $25 purchase, or free shipping with Amazon Prime account. Thank you to Fisher-Price for providing samples for review purposes.